I have a custom made plugin (Mpag Mod) that launches pages based on keywords. It also circulates the text on pages it has launched. This plugin is based on working with Beaver Builder. So it would be handy if you know a thing or two about site builders in general and preferably Beaver Builder too. Since some updates from WordPress the plugin isn’t working flawless anymore. I am experiencing a lot of nuisance from several error logs lately, this is caused by the launch plug-in. In the plugin I fill in all kinds of variables. %New York%, %Rome%, %Groningen%, %Barcelona%. In the editor on the bottom of the page there is one editor. Extra editors can be added with a single click. The more editors I open and fill with the code and lay-out of a page, the more pages will circulate. I think the rest of the plugin is self-explanatory. If not, give me a sign. I gladly explain some more. 1. 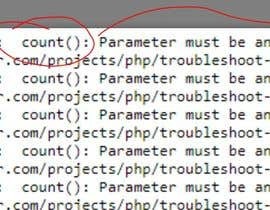 I need you to write a plugin or give me an easy solution (level noob) so I can fix this problem by myself on new websites I’m going to build. So hardcoded solutions in the theme or Beaver Builder plugin is not a good solution (also in relation with updates). Any solution to solve the problems with the plugin and make it without errors again is fine. I don’t want to push you in any direction. But I need it to be hassle free, noob proof and it shouldn’t cost any extra time to use the plugin. Of course the possibility of updates from Beaver Builder or the beaver theme should also be taken into account. It should be able to cope with updates. I won't take reactions serious if their message shows that they have not taken the time to read our request. 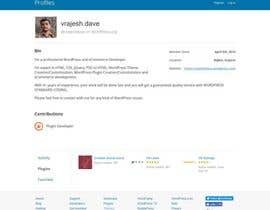 So what I am looking for is a wordpress/php/expert looking for a challenge. Attached the error log we get now with the plugin. Hey, this seems like a nice, fun and useful challenge. I have a couple of questions before I dig into it. Is there any way I could contact you or should I post an empty entry in order to enable the chat functionality for you to engage in? At first glance it doesn't look as complex and one should be able to do an universal plugin regardless of the builder/theme used, but I'm not 100% sure I get all the plugin's functionality. Also, just a heads up, the provided link doesn't seem to showcase different pages rendering on refresh. I have already mate some customized article spinners for my clients. I can make your existing plugin work with any WordPress theme.